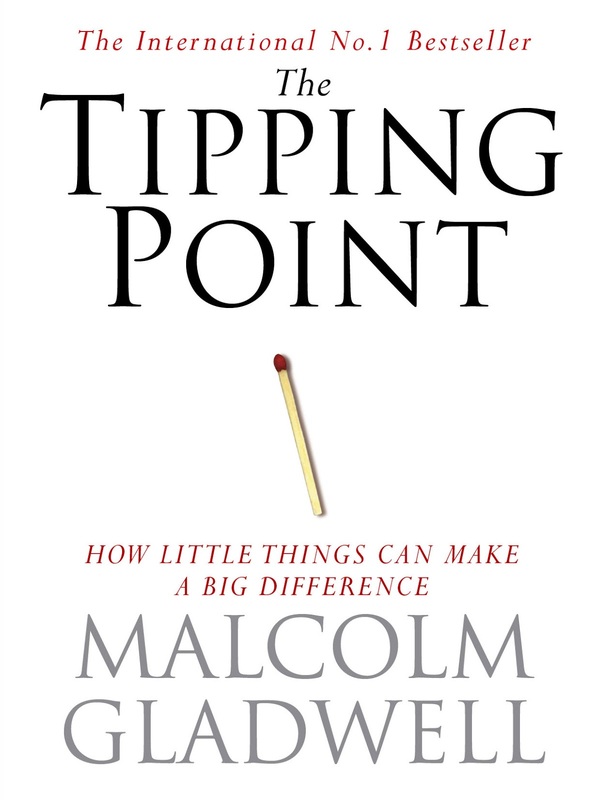 This month the starting book is The Tipping Point by Malcolm Gladwell. 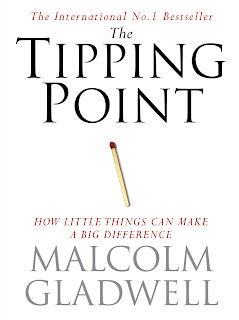 The Tipping Point is a book I know about, but not one I've read. 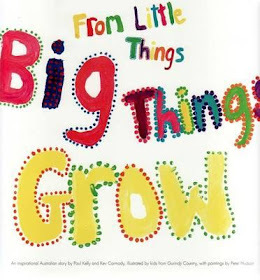 The best link I could think of was thanks to the tag about little things on the front cover. 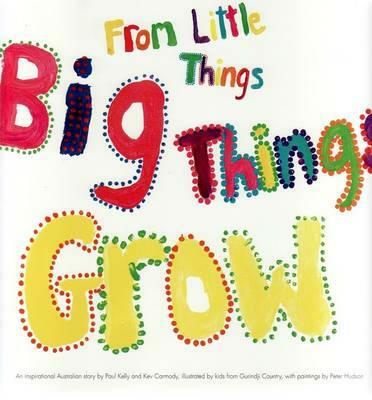 I automatically started humming Kev Carmody and Paul Kelly's song, From Little Things Big Things Grow. The song was turned into a picture book a number of years ago with illustrations by Queensland artist Peter Hudson and the kids from Gurindji country. 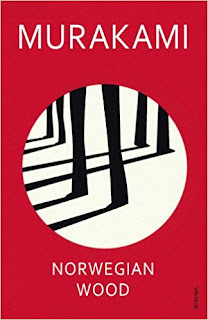 Another book inspired by a song is Norwegian Wood by Haruki Murakami. One of the characters is obviously a huge Beatles fan. Essentially Norwegian Wood is a nostalgic coming of age story about lost love and lyrics. 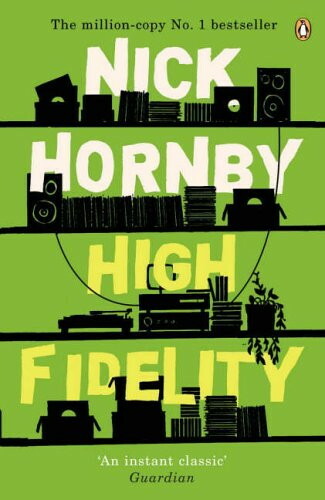 The logical place to go after that is Nick Hornby and High Fidelity. Although sadly, this is one of the few times when I preferred the movie over the book. The movie had a killer soundtrack...and John Cusack. Cusack also played a role in another book-to-movie classic, Stephen King's The Body, which became Stand By Me at the movies. 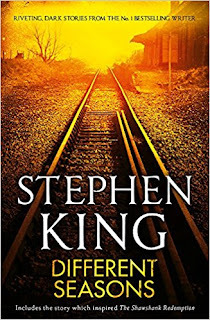 The Body is a short story in King's Different Seasons collection. I love short story collections. 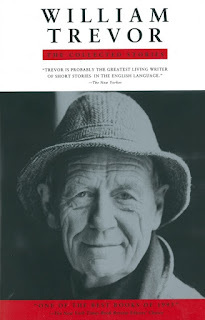 One of my favourite short story writers is William Trevor. His brick of short stories is one of the most brilliant pieces of story-telling I've ever read. Sadly he died in 2016, along with a slew of other well-known authors. 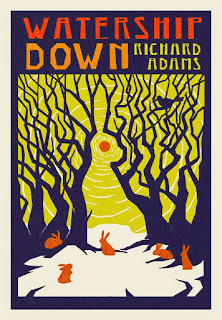 Watership Down was one of my favourite childhood reads. The rabbits in this story are a perfect literary example of how little things can make a big difference. And so we go back to The Tipping Point. 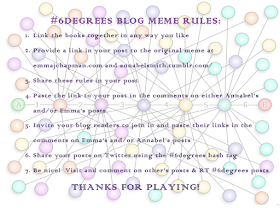 For the first time, in #6degrees history, I have created a loop rather than a chain. How did you fare this month? By the by, it's 14℃ outside, but feels like 11. Winter has arrived with a vengeance! I LOVE your musical chain this month! That Paul Kelly song is one of my favourites - not sure how I missed the fact that there was a picture book... I'm going to have to get myself a copy. I went to Paul Kelly's Botanical Gardens concert last year and he played that song and had a gorgeous, nostalgic slide show playing at the same time - it was fantastic. I'm very jealous of Paul Kelly in the Botanic Gardens - that sounds like a treat indeed. 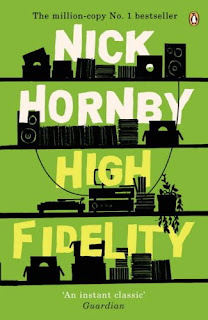 One Day Hill published quite a few songs as books including Solid Rock, an Archie Roach song, My Island Home off the top of my head. Worth hunting down. 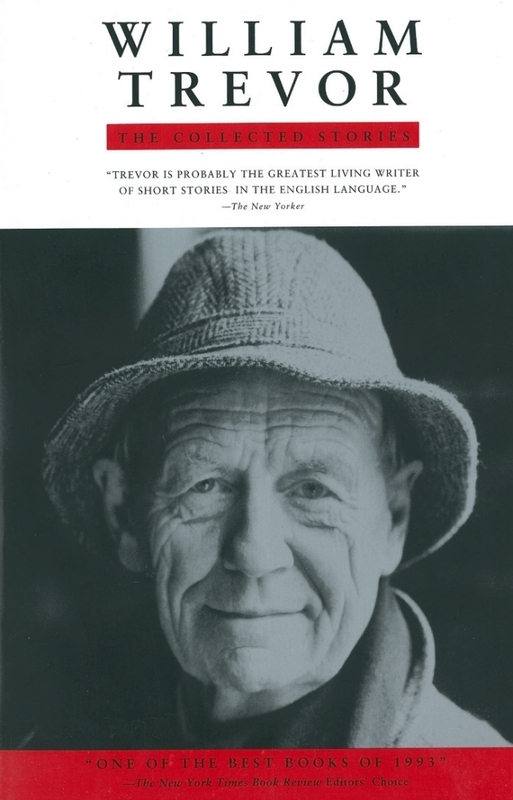 William Trevor, John Cusack and Murakami all in one post - what a great set of links! I have no talent for #6 degrees of separation...but found your connects interesting. We both love W. Trevor....and I really should try a Stephen King since I've been on a 'horror' book trip! Your blog was my FIRST go-to-Australian reference. I still look often at your TBR and lists of must read Australian authors. Remember you started the A-Z list of authors? That is how I discovered Thea Astley! Thanks! John Cusack - I concur! :) Well done on the loop! Very nice! John Cusack - yes, please! I've not read the books you listed, but enjoyed your journey. Great chain - love the variety! Love your "loop" this month! I'm hoping to finally read Watership Down soon. Glad to hear it's one of your favorite childhood reads.